Hanoi is close to the winter, that days can be said to be the time of the year when the couples can hand in hand, give warm hugs to each other. 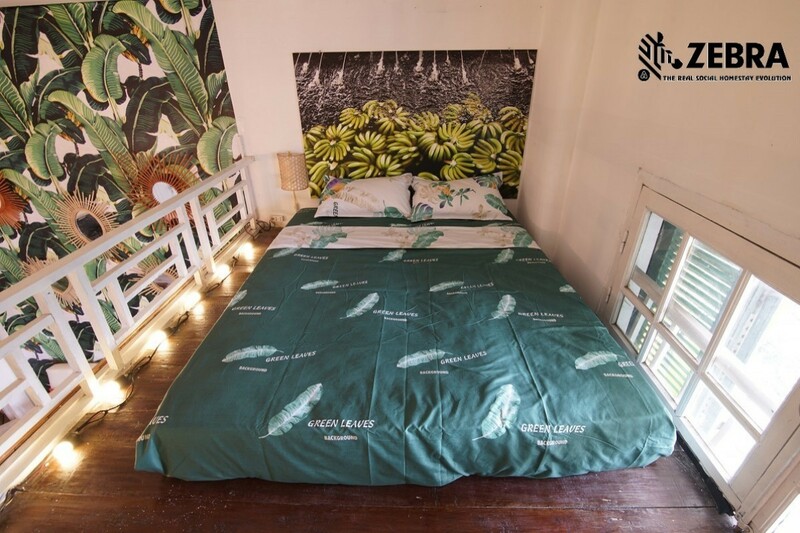 The list of 5 Hanoi homestays below will make it easy for couples to choose a destination for the best moments. 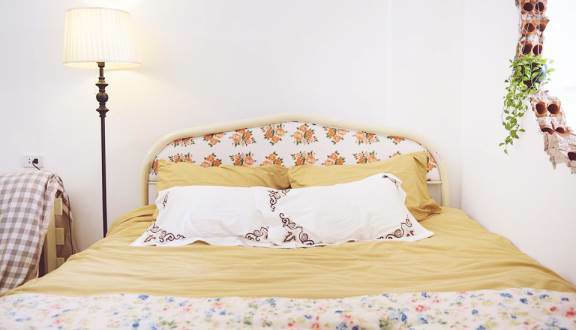 The space of homestay is not too wide, design of a room here only suitable for 2-3 people. However, its utility is very complete with living room, kitchen, toilet and bedroom with loft-style design. 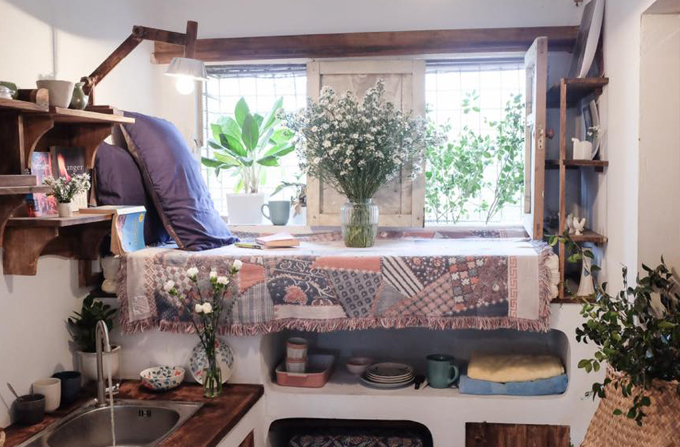 This homestay design provides a warm and friendly space. The Banana Tropical inspired design is derived from the image of tropical fruits. 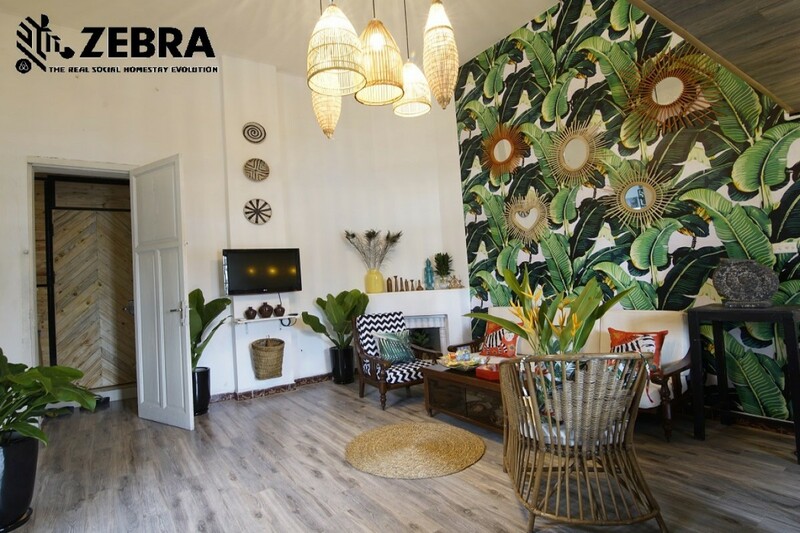 Therefore, the main color of this homestay is also impressive with the highlights and eye-catching color. In addition, the highlight of this homestay is the beautiful small balcony designed with beautiful view. Standing here will help you enjoy and feel the image of the ancient streets of Hanoi. Especially at the weekend, you can join with him/her on a walking street, it will surely feels great. Walk around the lake to get a feel for the air and the weather of Hanoi winter. On weekdays, the room rate is 800.000 VND per night. The weekend will be priced in the range of 900,000 VND from Friday to Sunday. 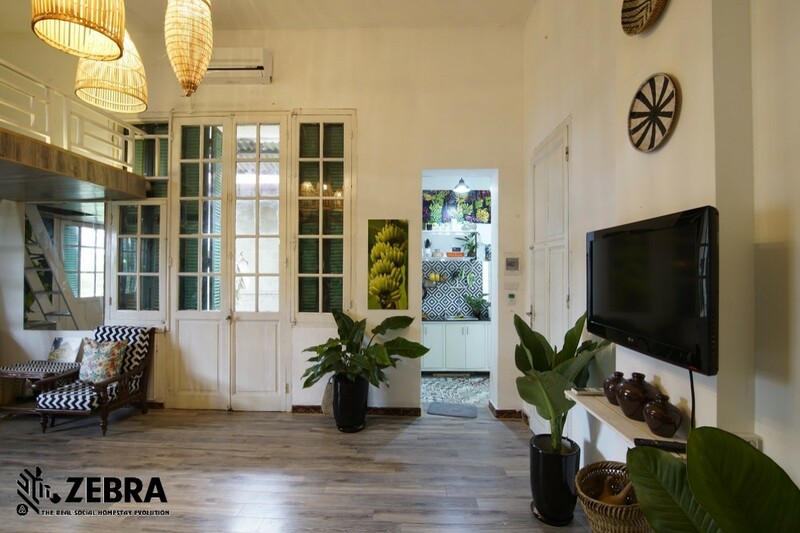 Not as beautiful as other homestay in Hanoi, Chloe & Leo Homestay bring simple and rustic beauty of Hanoi. With a lot of unique virtual living corn, this place will bring you many memorable experiences together. 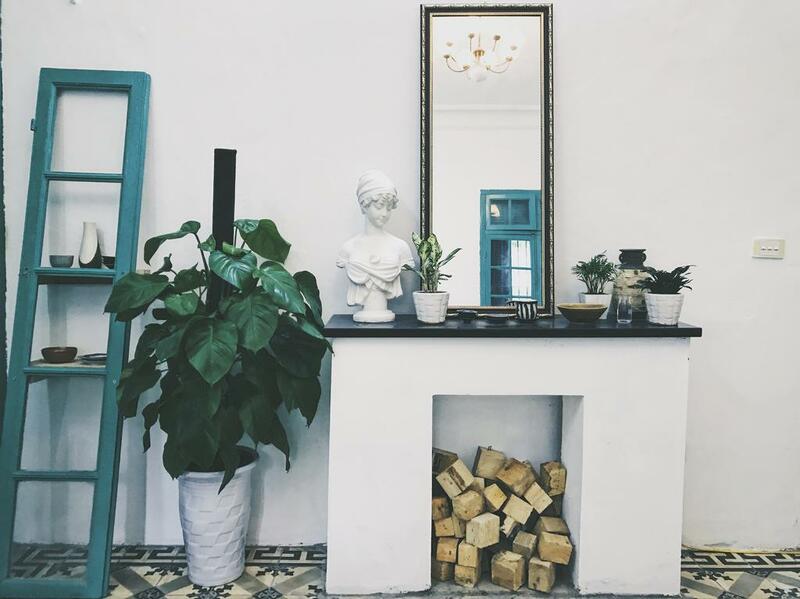 The space here gives you a sense of familiarity, close to being in your own home. 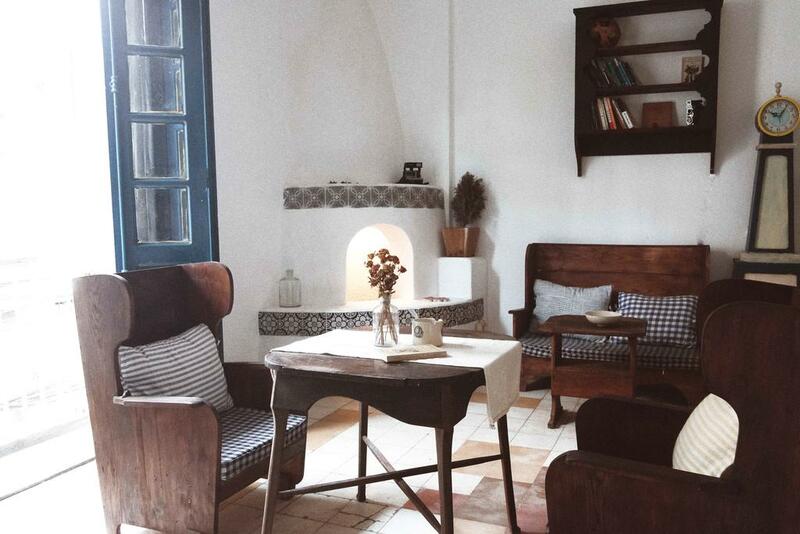 The interior of this homestay is designed in a sophisticated and meticulous detail. 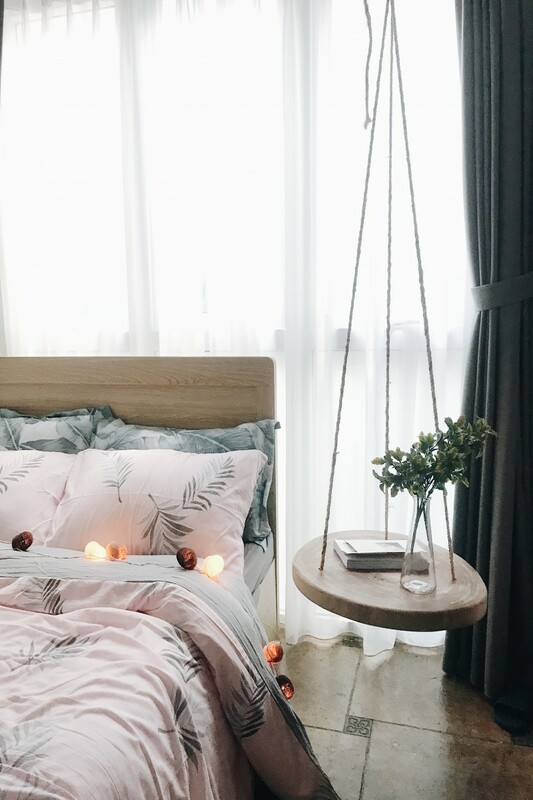 The harmony in the arrangement will create a relaxing space for two of you. 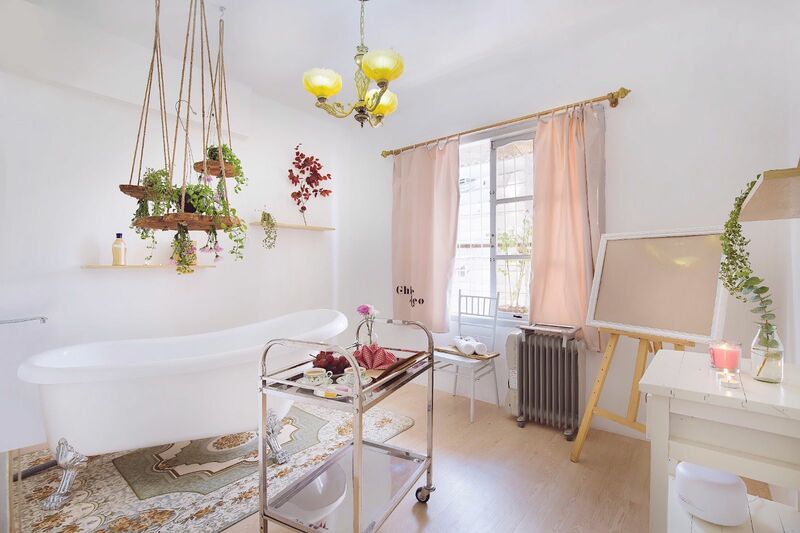 The bathroom is also romantic style with white color mixed pink gentle. 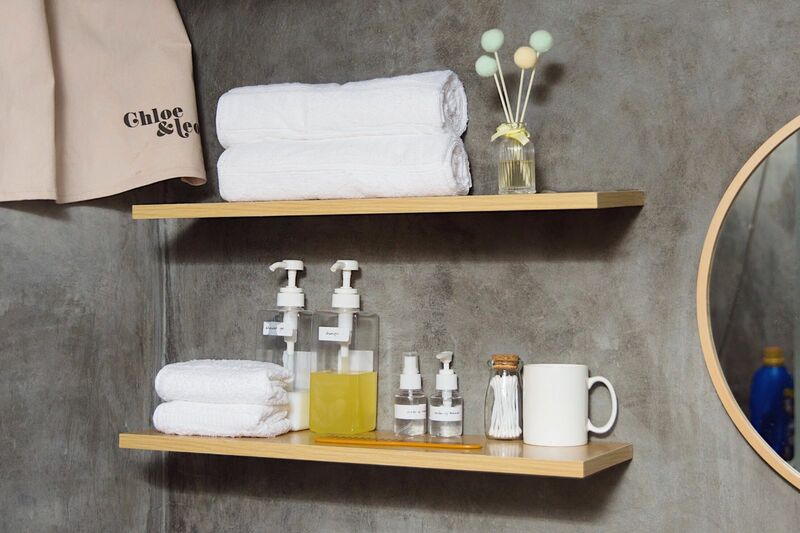 Amenities are full, especially bathtub for you to enjoy. The room rates here are 1.100.000 VND / night for weekdays from Monday to Thursday. Three weekend room rates increased to 100.000 VND / night. 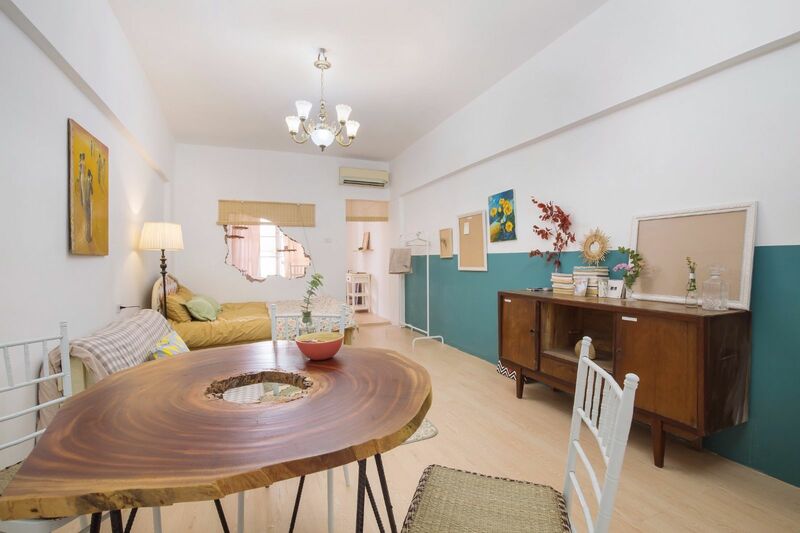 This homestay is very close to the city center, so it will be very convinient to relax here. 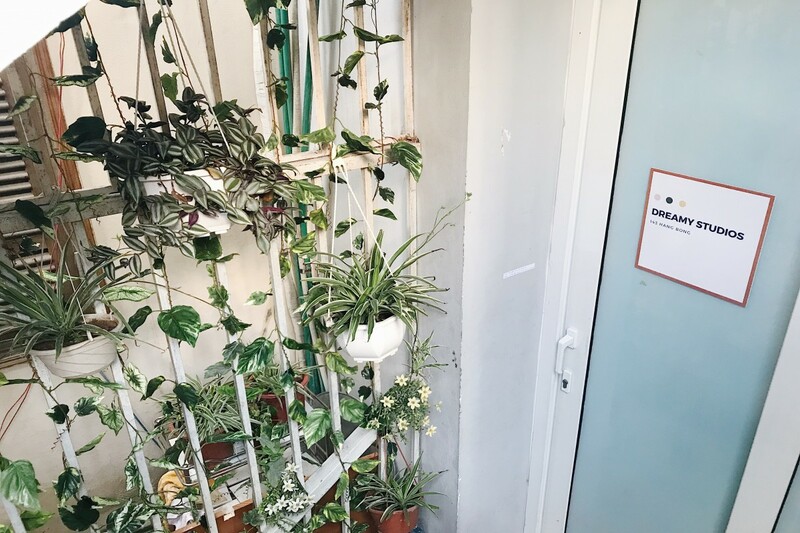 In addition, its location is located in the famous food street, so if you have the opportunity to come here, do not forget to enjoy the delicious and attractive dishes with your lover. Dreamy studio is decorated with white color. 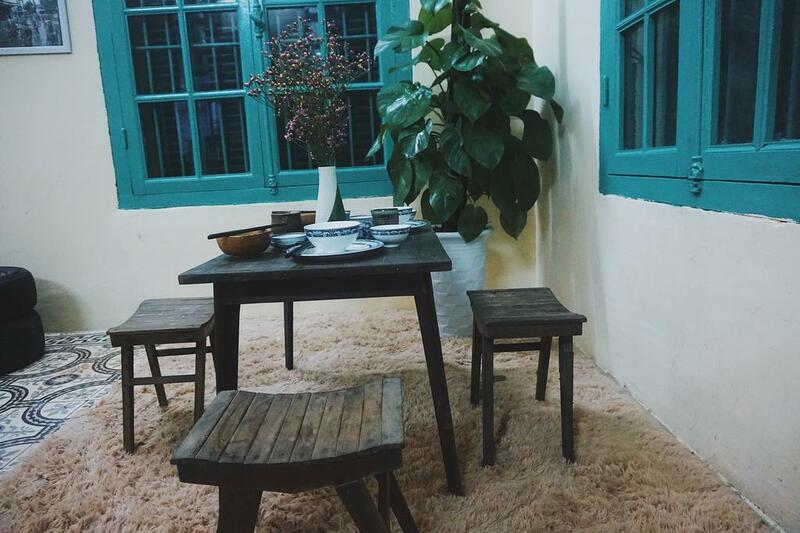 Despite the small rea a but space of this homestay is always very romantic and impressive. Accommodation is comfortable, everything is very nice. 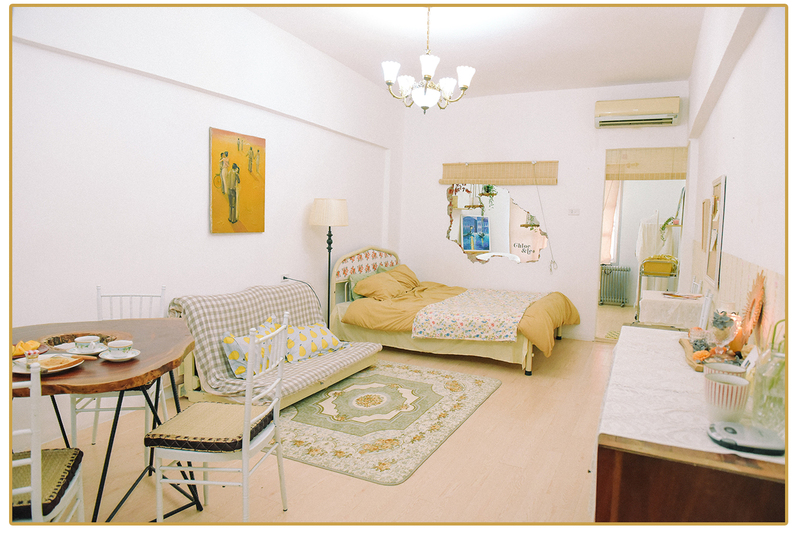 Room rates here are not expensive, rates range from 480,000 VND / night – 540.000 VND / night. This is a great destination having a private space for two of you to rest. 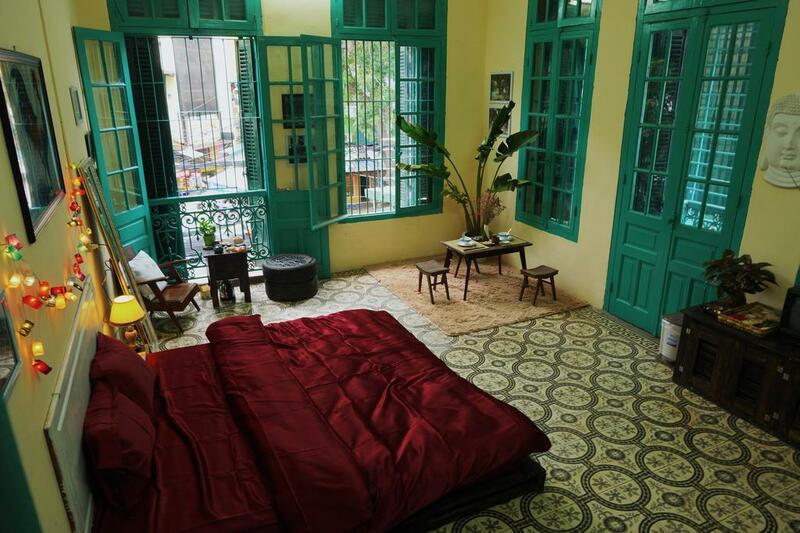 This is a special homestay in Hanoi because it used to be the house of a French general built in 1909, then repaired but retained all the details from the door, iron railing, even the brick background. The house now has 2 rooms for rent. 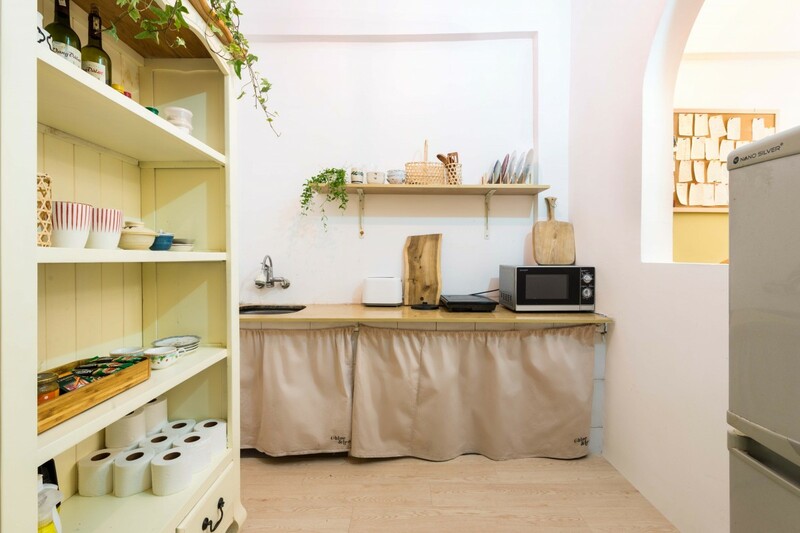 Each room is 30m square wide and is designed from 100% handmade wood products. 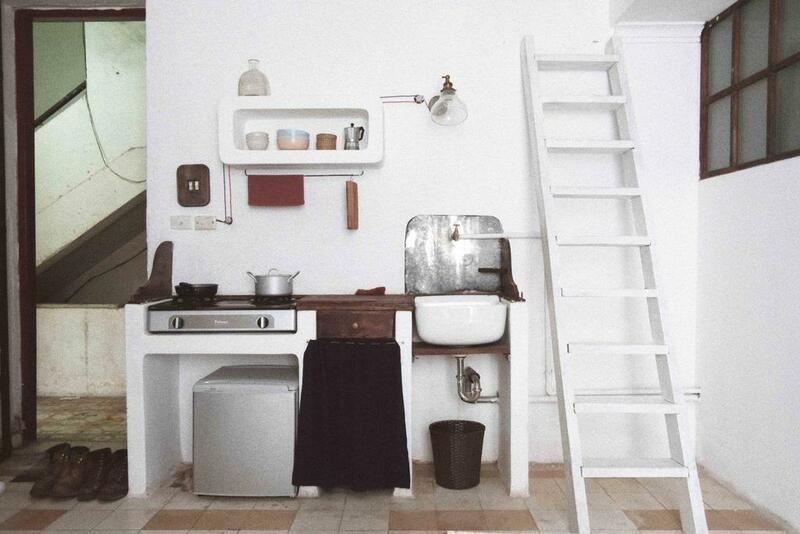 Although there are only 2 rooms but the space of each room is completely different from each other. 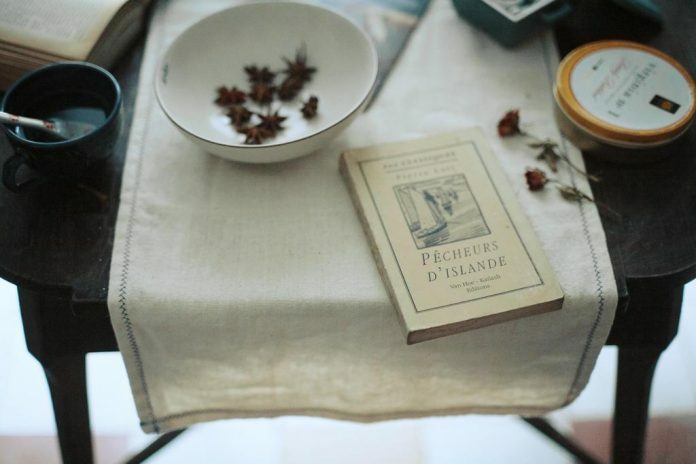 One room is rustic and simple, one is warm and pleasant. Rooms have city views and are equipped with washing machines. 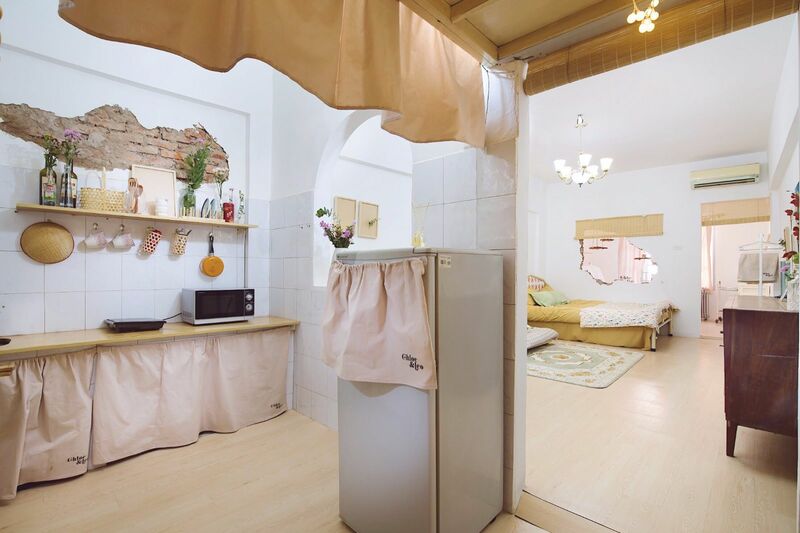 Kitchen is fully equipped with refrigerators, and private bathrooms with hairdryers. In the kitchen there is a lot of food, drinks for everyone to choose. Prices are clearly written on the side and have available box for everyone to put money in. Room rate is 814.000 VND for the King Suite (1 single bed and 1 extra large double bed). 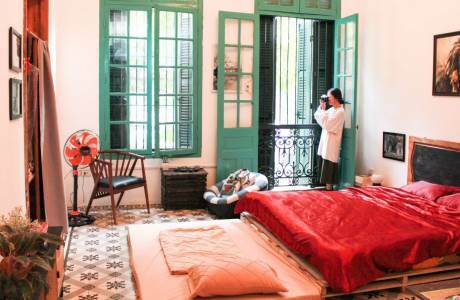 Aimee Homestay is located in the center of Hanoi city. 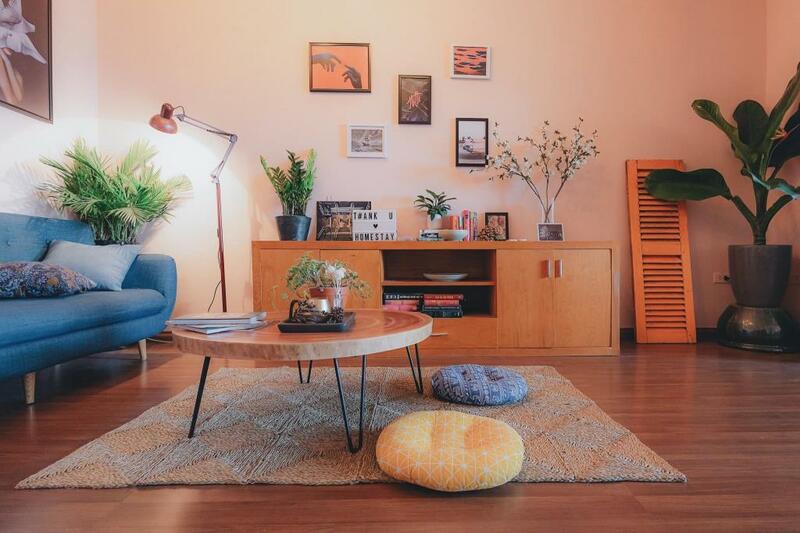 Aimee Homestay is ideal for couples who want to stop their busy days to looking for peace place in the heart of the city. The home reminisce about a cozy and peaceful but rustic family room. 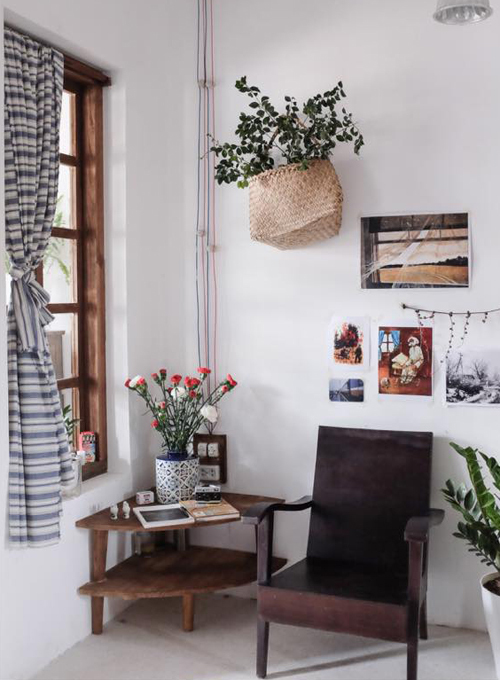 Every corner of Aimee Homestay from the wooden table, chairs, bookshelves to the flower-filled windows, tablecloths or classical melodies from the old speaker also brought Hanoi’s classical space a long way away. Each room costs from 800,000 VND to 1,000,000 VND. Wish you have a wonderful experience together! 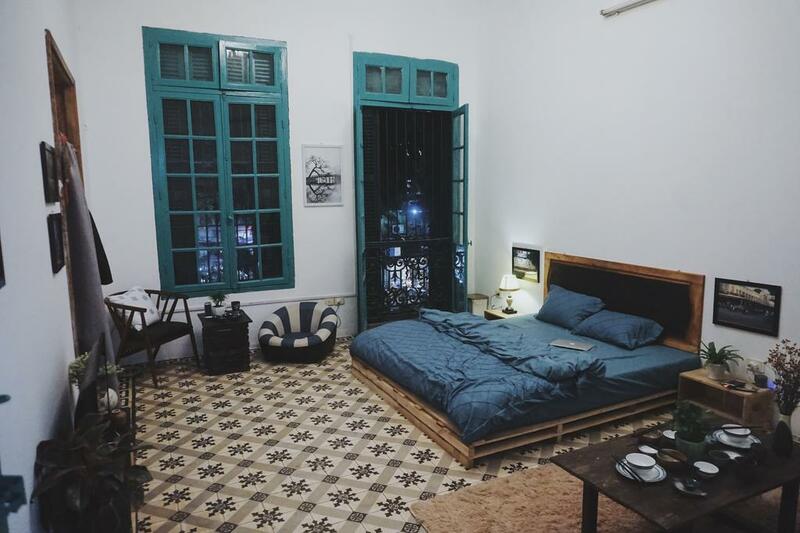 List of homestay lovely and super cool in Saigon!